C programming language is a structured programming language. 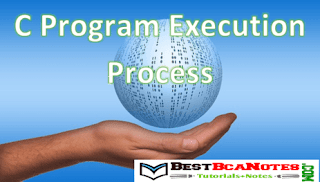 c program execution process is very simple. It has specific format to to write code. But there is no restriction to how to design code you can write whole code in one line also. The c program file should be saved with an .c extension. If you are using turbo c then it will give automatic .c extension to your program. You need not to specify extension. Source code refered as a your c program. You write any program it is called as source code. This source file should be saved with an extension .c. 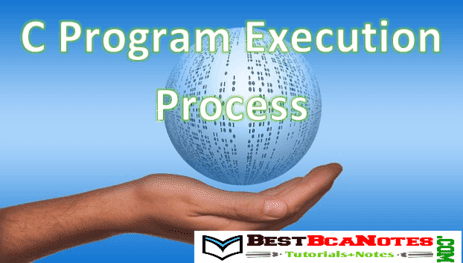 Once program is written in second step it is compiled with the c compiler. In the process of compilation compilers compile your whole source code at a time. It is very fast process. compilers checks for errors, any violation of rule in code, if any gives warnings and errors to the user to fix it. Once compilation process completed. The next step is to Run the program. Actually this process is a process of converting souces code into machine code. Machine code is also refered as binary code. Machine code is in the format of 0 and 1. This binary code can be directly executed by the machines. And gives instructions to hardwares to work.